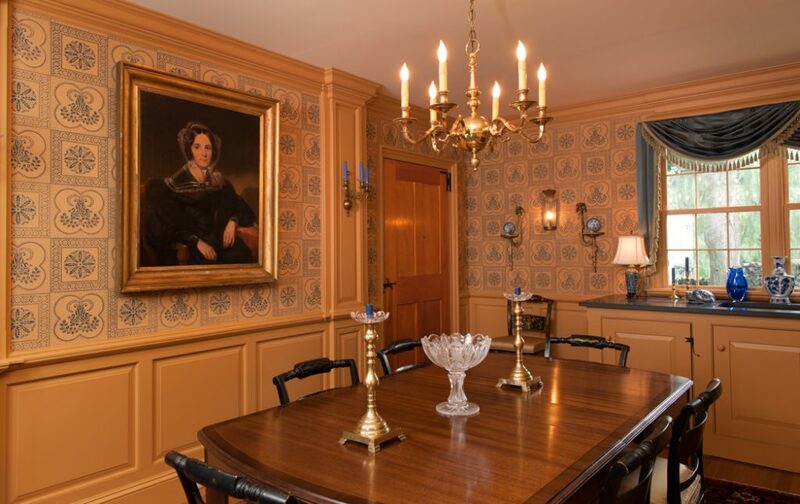 With two distinct versions of this pattern available in early 19th century America, and two additional reproductions offered by mid-20th century manufacturers, this pattern must certainly have been hung in a great many homes over the last 200 years. The original document used to prepare our version is from the archives at Colonial Williamsburg. Another print from the same block belongs to Historic New England. Also in their collection is a design in which the pattern elements are noticeably bulkier. 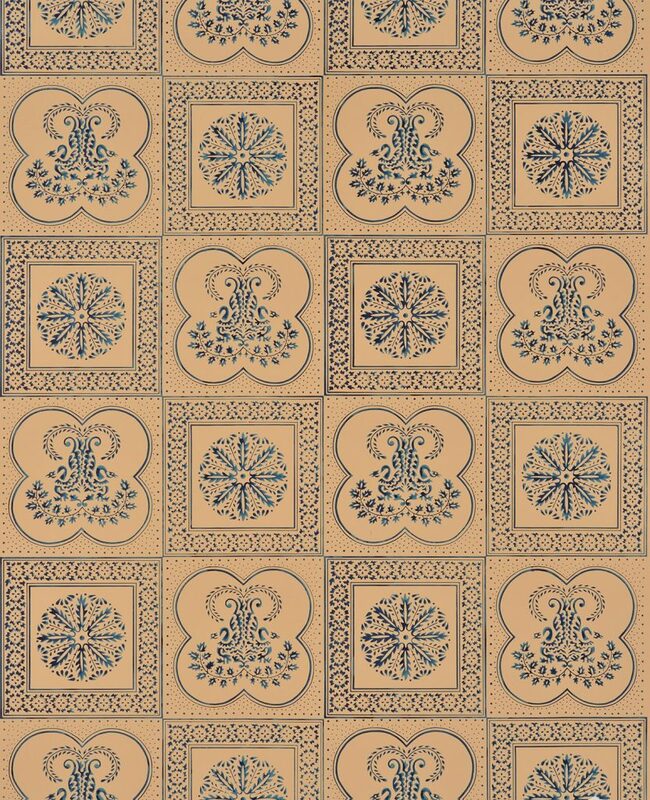 As Richard Nylander has noted in Wallpaper in New England, this type of pattern was based on early 19th century French neoclassical designs. It is difficult to say whether one of these is a copy of the other or if they were both inspired by a common French source. The 20th century, commercially printed versions of this paper differed in their interpretation of the original. One was more or less the same scale but used two colors of print paint in an attempt to mimic the variations of the transparent 19th century paint. The other company, accustomed to larger patterns, increased the size by several inches, which was not an uncommon practice. We offer the pattern printed with either thin paints – as it was originally produced – or with our standard opaque colors. Imperial Measurements: Repeat 19 inches, width 19 ⅛ inches, length 11 yards, straight match. Metric Measurements: 48.3 cm, 48.3 cm, 10 m.